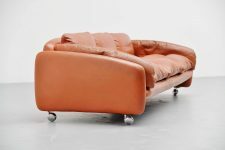 Very nice shaped lounge sofa made by unknown manufacturer or designer, Finland 1960. 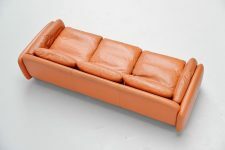 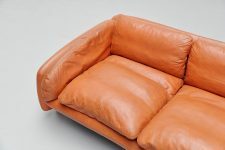 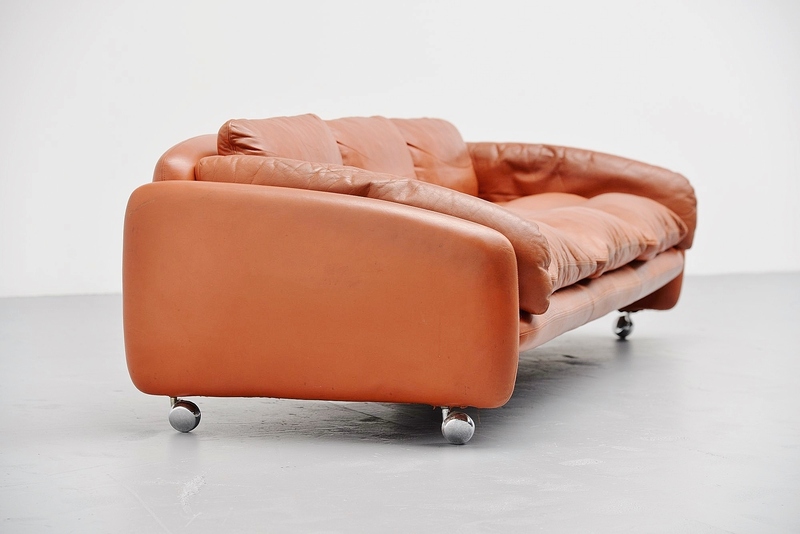 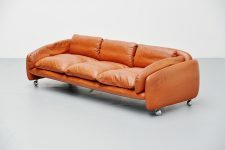 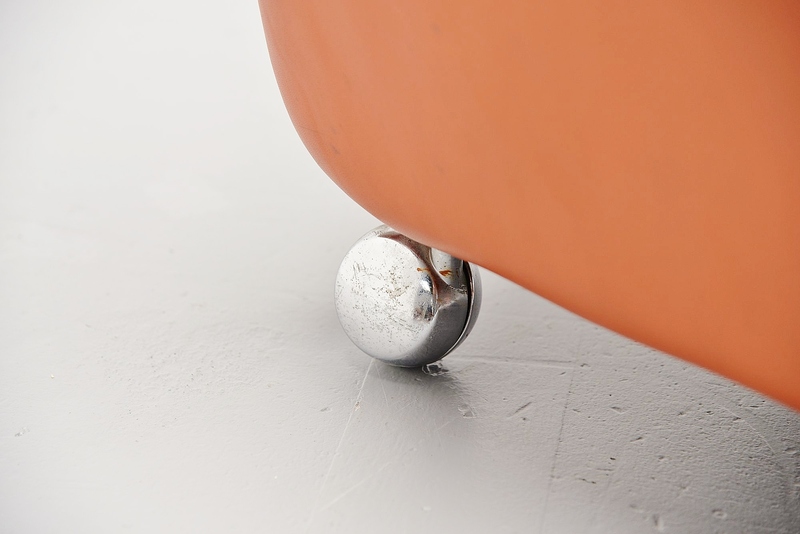 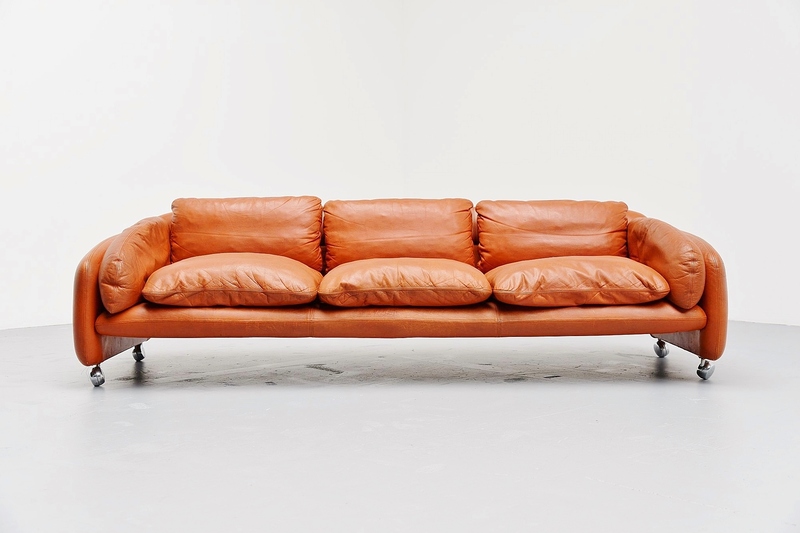 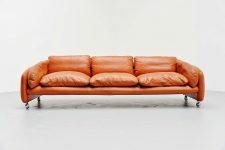 This sofa is made of high quality leather covered over foam and a metal frame. It has very nice chrome plated metal wheels and seats very comfortable. The leather has a very nice patina from age and usage.